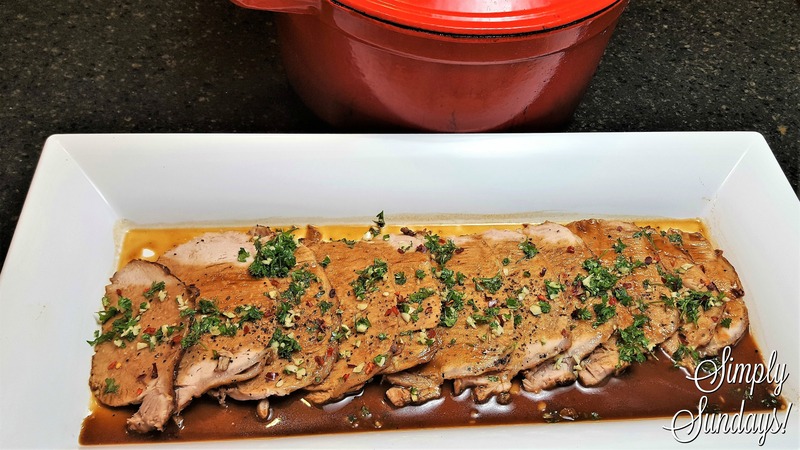 Dutch Oven Pork Roast – Simply Sundays! Can you use apple cider vinegar instead of regular apple cider? Apple juice or cider are going to bring a sweet component to the gravy with just the acid or citric acid that are in the apples themselves. Apple cider vinegar is very acidic and will bring a very strong vinegar flavor to the dish so I would avoid using it as a substitute. Thank you for dropping by my blog, love your blog and recipes! This pork roast looks amazing! But the flavors in that gravy are to die for! Can’t wait to use my dutch oven for this recipe! Thank you Lesli! Hope you love it! Your process photos are really helpful! This dish looks delectable. My mom had a similar technique to yours! I haven’t made it this way in years! It looks so tender and juicy! I must give it a try! Pork is one of my favourite meats roasted but I’ve never made it this way. Thanks for the great tip! I love the look and how this dish sounds- love the adition of cider – it really works great with pork, I normally add beer. Yumm. Definitely a delicious dish that I must try super soon. Recipe saved! Oh yummy! This looks really good and the sound of that gravy that goes with it is definitely right up my street.